Once you make the decision to divorce, you must file a petition for divorce or dissolution in your local court to begin the process. However, before the court can accept your petition, you must meet residency requirements. Either you or your spouse must have lived in the state, and sometimes in the county, for a specific period of time before you can file for divorce there. Although state laws differ, this is a common requirement. For example, to divorce in California, either one or both spouses must live in the state for at least six months and for at least three months in the county before filing the petition. In Connecticut, one or both spouses must be a resident of the state for at least one year prior to filing. If a spouse is serving in the military, the divorce can take place in one of three states: The state where the service member is a resident, the state where the civilian spouse is a resident, or the state where the service member is stationed. The residency requirements of those states govern when the petition can be filed. 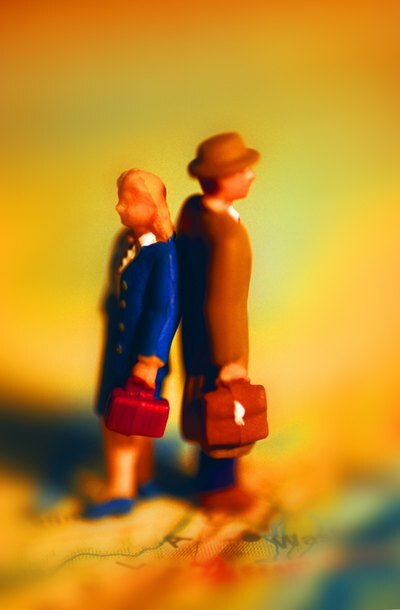 Military members must get divorced in state civilian courts, and the basic divorce steps are similar whether the divorcing couple is military or civilian. However, military service can complicate the divorce when it comes to issues of residency. State laws determine where you, as the military member, can file your divorce case. Can a Judge Make You Sign Divorce Papers? In days gone by, both spouses had to agree to a divorce in order to end a marriage, but that is no longer the case. Either spouse acting alone may pursue a divorce, and a court may grant that divorce without the consent of the other party. Therefore, a judge has no reason to force a party to sign divorce papers.